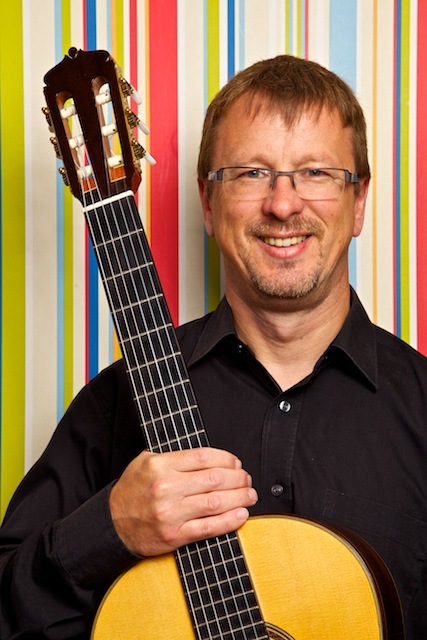 Ron Thomas gained his Bachelor of Music degree from the Birmingham Conservatoire of Music having studied with internationally acclaimed guitar virtuoso, Simon Dinnigan. While at the conservatoire, Ron performed in concerts at the Bolivar Hall, London, The Adrian Boult Hall, Birmingham and many smaller venues throughout the Midlands. His repertoire consists of classical music from the baroque period through to the twentieth century, as well as popular material such as songs by the Beatles, Cole Porter, George Gershwin and melodies from West-End shows. Ron also works with the Caricaturist, Jonathan Cusick. This could be another addition to your day to make it even more memorable, and a discount is available if Ron and Jonathan are booked together for one event. For further details, click on the ‘caricatures’ link above, or visit Jonathan’s website www.caricatureyourwedding.com.